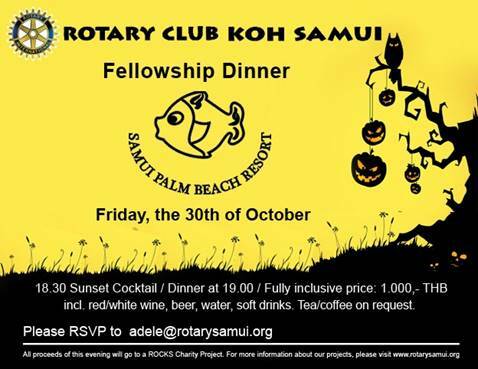 You are cordially invited to our Fellowship Dinner on Friday 30th October at Samui Palm Beach Resort, Maenam. As always the price of 1,000 baht includes an excellent dinner, red/white wine, beer, water and soft drinks. Registration from 1830 and Dinner from 1900. 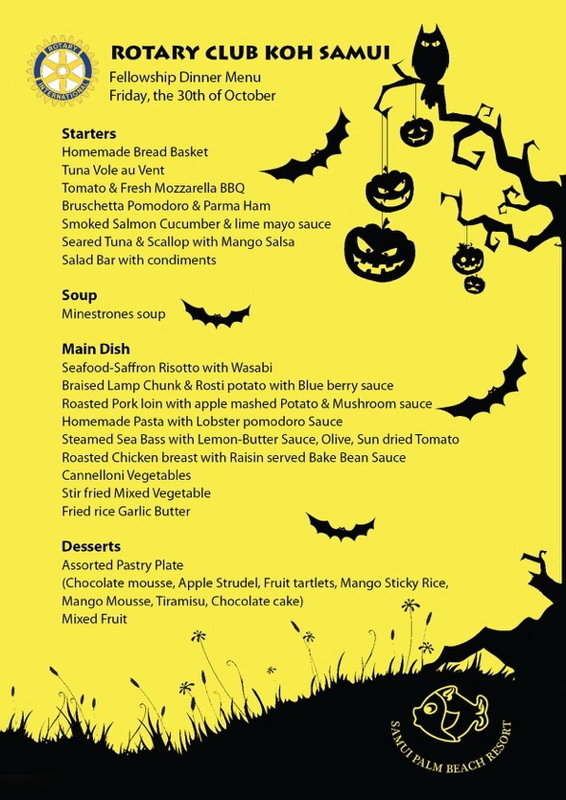 Samui Palm Beach has also offered rooms at a special rate of 1,500 baht for a double room or 1,250 baht for a single room, with breakfast, if you wish to be totally relaxed at our ‘not quite Halloween evening’! Rotary Club of Koh Samui – New Project – Water 4 Life!